Uncategories Your time starts now! Peter F.Drucker very rightly quoted in his golden words ‘Until we can manage time, we can manage nothing else’. In other words, he was too mean that time management is only the life management. 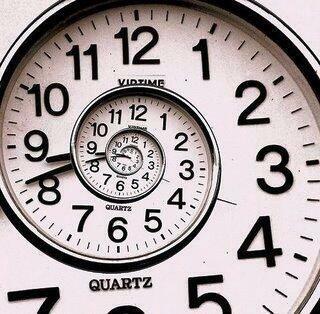 If you take care of the seconds, the minutes and the hours will automatically take care of themselves. 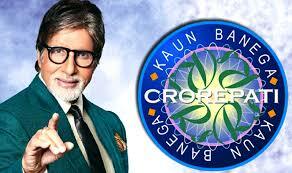 Your time starts now says, Abhitabh Bachchan, when only 30 seconds are given in the KBC Kaun Banega Crorepati to answer the question in the first phase of the game when you have to read the question, four options and then decide the correct answer. Most of the contestants waste their time in reading the question and options, giving a very less time for the friend while using lifeline of phone friend is used and ultimately lose the game to win the lowest amount. In such case, if the question is ready out fast with options giving more time to the caller to think over the right answer, to turn the fortune of the game. It is said that either you run the day, or the day runs you. A well-organized life finds time for everyone and everything but one should always try to settle in advance that which you have set for yourself, Normally whenever you ask someone or invite someone, the stereotyped reply received is - “Dear, I don’t have time”. In fact, time management is the process of planning and exercising conscious control over the amount of time spent on specific activities especially to increase effectiveness, efficiency or productivity. Everyone is busy all the time but nobody is too busy, it is just a matter of priorities and sometimes you may delay but the time will not so far as the trains running is concerned. It has to departure at the scheduled time. All time management always begins with planning. In one of the production house, it was written in bold letters – “If you don’t have time to do it right, when will you have time to do it over? Frankly speaking, sometimes something happens so that you don’t expect it and that is entirely different in your life and you are either speechless or try to give a second thought as to what he has said. The other day, it happened so that when one of my friends met me after a long time, I invited him to come to my place. He said in the same pigeonhole style, “Sorry dear, I don’t have time even for myself”. Reacting instantly, I said, “Komal, do come to me once, I have a spare time with me and you can have it from me. I will give you when you to come to my place”. Without waiting for a fraction of seconds, he countered saying, “Uncle, now you do come to my home with that spare time to give it to me so that I may plan to come to your place in that time”. I was astonished and wordless except to nod in affirmative. Really, now I plan to go to my friend’s house to tell him that everyone has 24 hours time but it is only the time management as to how you manage it please everyone. Your time starts now. Over to you!